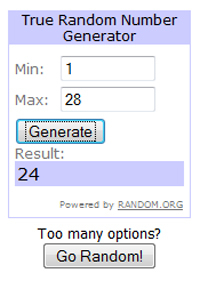 Thank you to everyone who entered the Contact Keeper Giveaway! 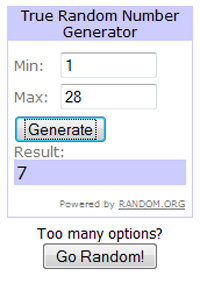 28 contestants left comments for this giveaway and Random.org was used to choose 3 lucky winners. The first winner to contact me by email at cynthia@journalingarts.com may choose which Contact Keeper journal they want. The second winner to contact me will choose from the remaining two Contact Keeper journals. The last winner to contact me will receive the remaining Contact Keeper journal. Please include your mailing address in your email so I know where to send your journals.